Truly ~buzzworthy~ products. The products in this post were updated in October 2017. 1. An airtight cold brew maker to whip up the perfect summertime iced beverage. It stores conveniently on your fridge door, stays fresh for up to two weeks, and produces a low-acid cold brew that tastes great! 2. A Nespresso Pixie that packs a powerful espresso punch while only taking up a teeny amount of counter space. It's only 4.3 inches wide, makes espresso, lungo, and larger espresso-based drinks, and comes with a variety of Nespresso pods so you can find your favorite blend. 3. A variety pack of Nespresso-compatible capsules at a price point that'll save you so much money in the long run. Price: $23.66 (for 60 pods). 4. 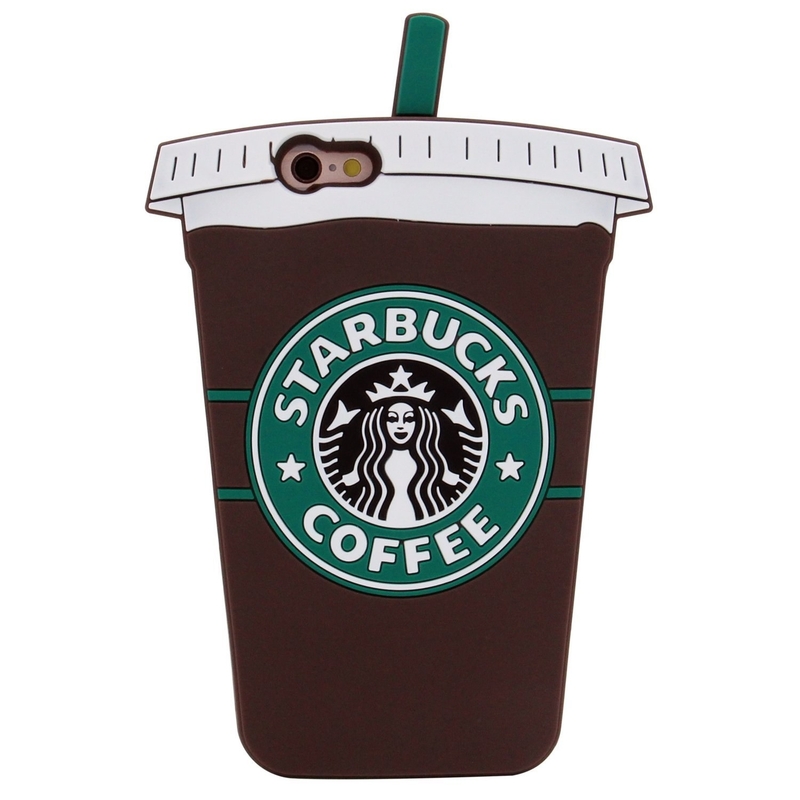 A silicone iPhone case for anyone who, like Kenneth Parcell, doesn't drink hot liquids of any kind. 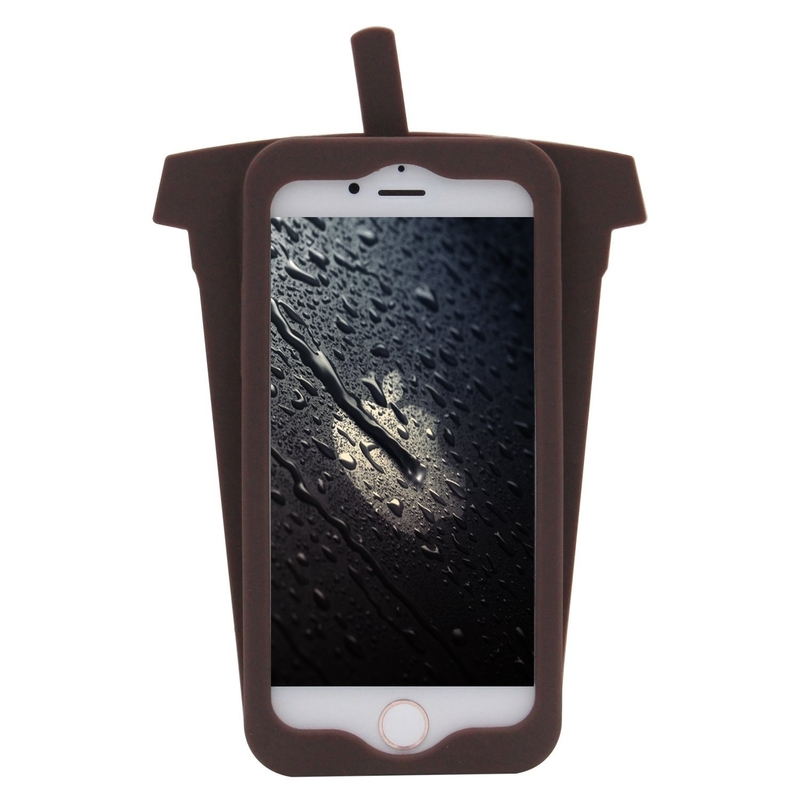 Price: $9.95 (iPhone 6/6S). Get one that fits a 6Plus here. 5. A two-pound bag of super-caffeinated coffee that still actually tastes amazing. 6. A bottle of smooth concentrated cold brew you can dilute and enjoy from the comfort of your own home. You can drink it hot or cold, and dilute it with water or milk! Price: $11.99 (also available in mocha and vanilla). 7. 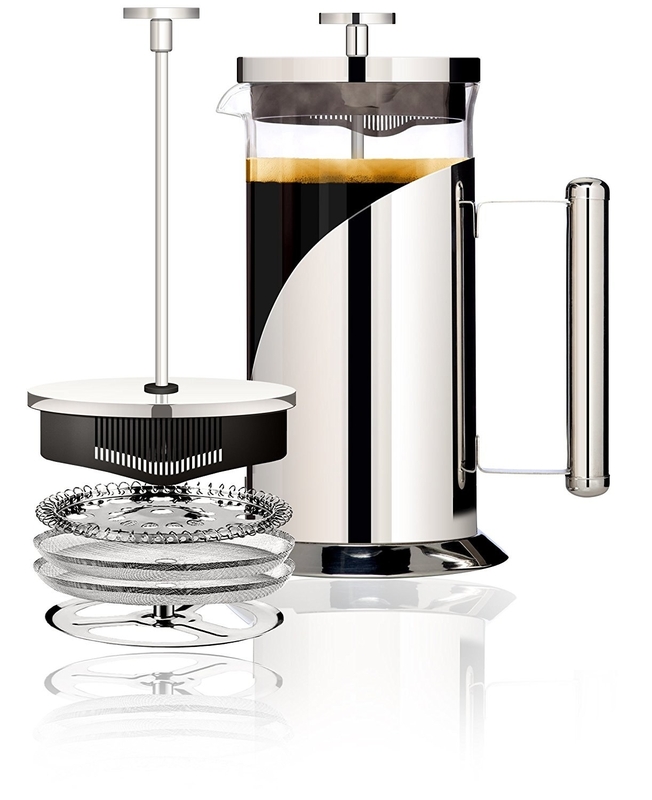 A pour-over coffee maker with a permanent stainless steel mesh filter — you can even wash it in the dishwasher! Price: $19.99 (available in three sizes and 10 colors/styles). 8. 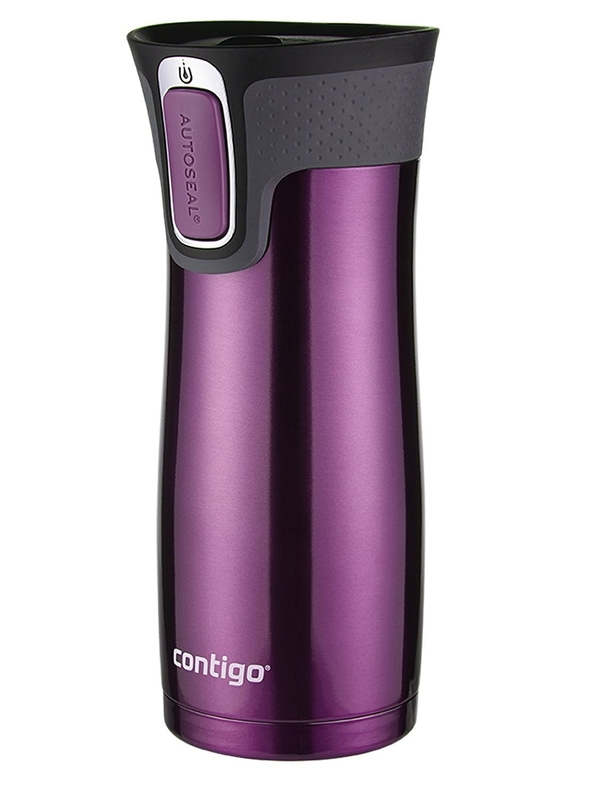 A vacuum-insulated travel mug with an auto seal lid to prevent leaks and a double wall to keep hot drinks hot and cold drinks cold. Price: $12.07 (for 16 oz. size. Also available in 20 oz.). Available in 15 colors. 9. A pair of double-walled espresso mugs that hold more than you think and will keep your drinks warm until the last drop. Promising review: "We bought two of these glasses and liked them so much we bought two more. The glases are just large enough for a 'lungo' with a dash of milk. The material and double insulation keep the coffee hotter than other mugs, especially after adding in milk." —Danny M.
10. 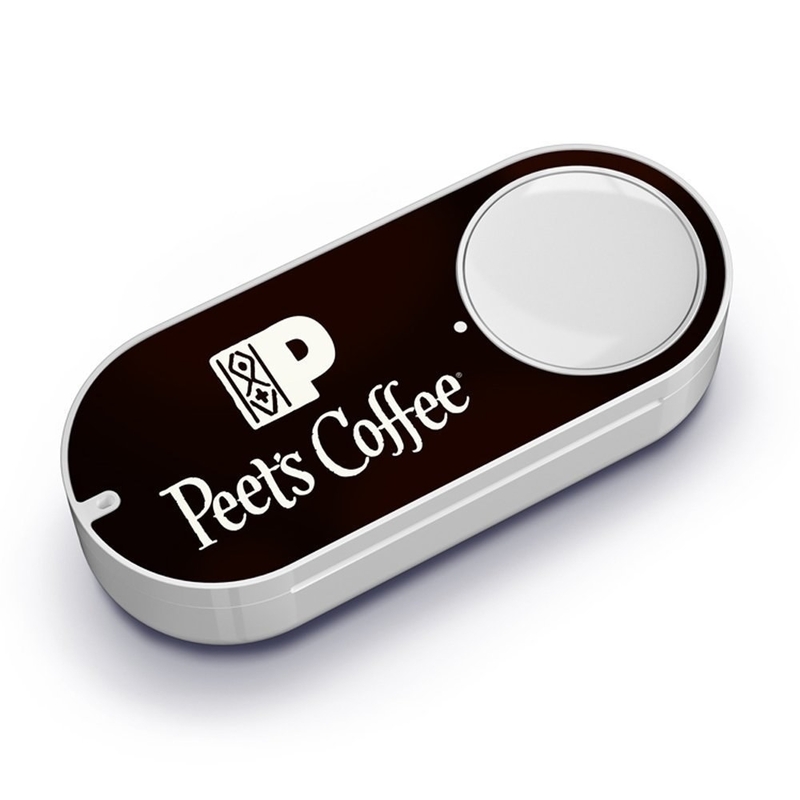 WiFi-powered Amazon Dash buttons you can press any time you're running low on coffee — it'll reorder your favorite brand with just one push. 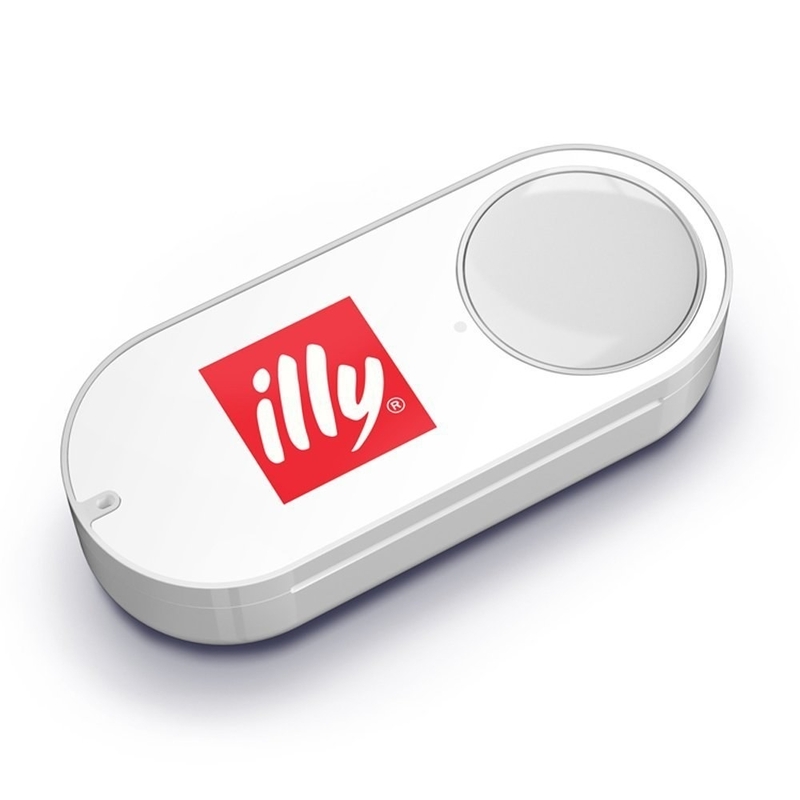 Get them from Amazon for $4.99 each (Peet's here and Illy here) — however, when you make your first purchase through the buttons, your account will be credited the $4.99, making them actually FREE. Check out the full selection of coffee-related Dash buttons here. 11. A travel-friendly espresso maker that's hand operated (no batteries or electronic power required) so you don't have to sacrifice your morning brew when you're on-the-go or camping. You can also get one that works with Nespresso capsules for $58.99. 12. 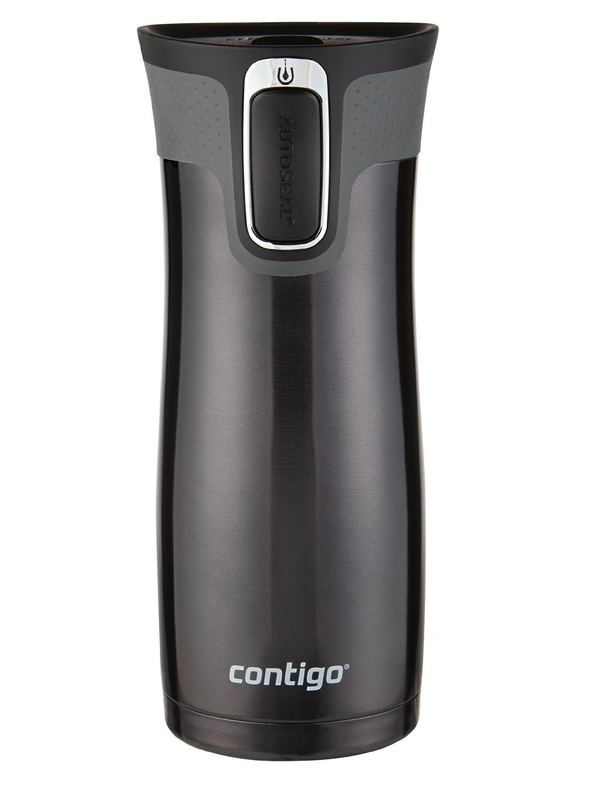 An electric bean grinder for the freshest-tasting coffee you've ever had every single morning. 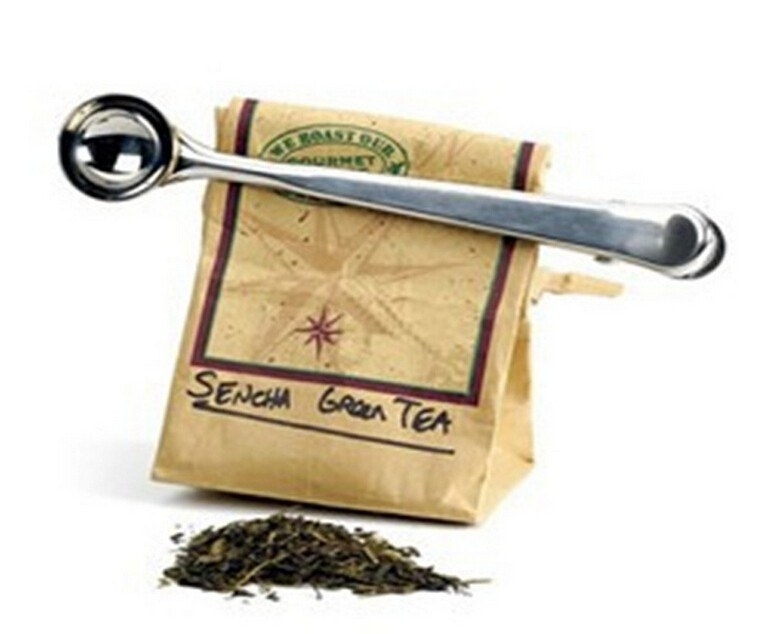 Especially great for cold brew or French press enthusiasts who prefer a coarser grind! 13. A stovetop espresso maker that heats up quickly and evenly and is surprisingly easy to use. 14. A pair of socks for anyone who needs a little pep in their step in the mornings. 15. A mug to let everyone know exactly when it's acceptable to ask you a question in the morning. 16. A two-in-one measuring scoop and bag clip to keep your coffee consistent and fresh no matter how tired you are in the morning. 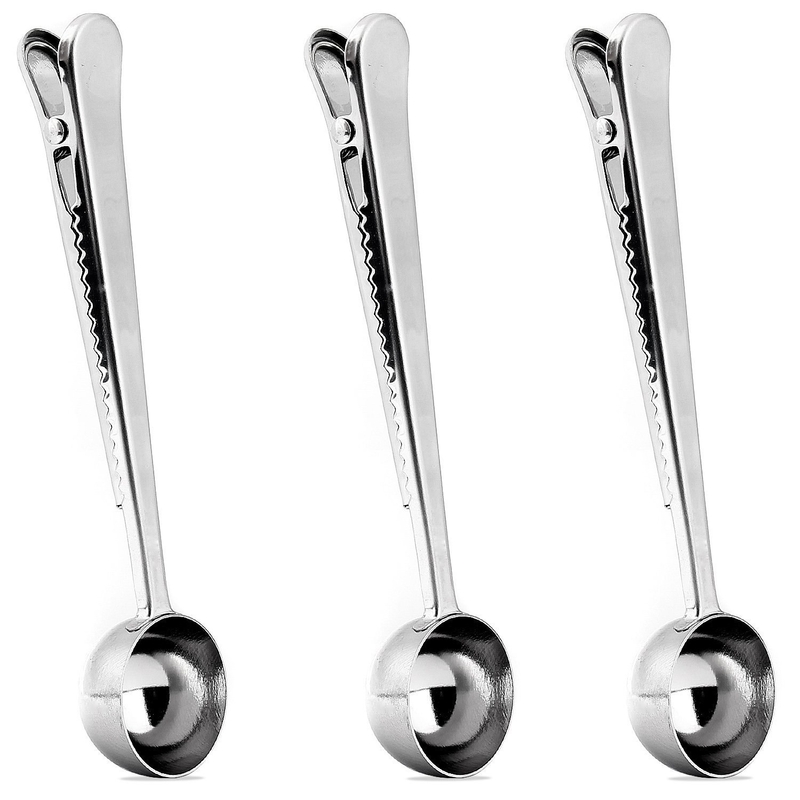 Price: $9.98 (for a set of three). 17. A quadruple-filtering French press for anyone who is sick and tired of finding grounds in their morning brew. 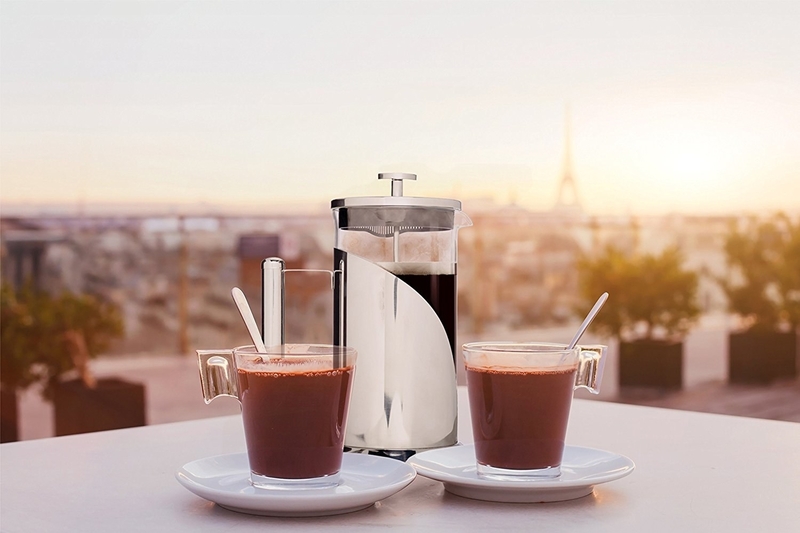 Promising review: "This French press is hands-down the best I have ever seen or used! The quality of materials and beautiful but efficient design is excellent, and the result is a perfect cup of coffee. I followed the clear, simple directions included with the press and enjoyed coffee that is robust, rich, and smooth, with very little residue in the bottom of the mug. I highly recommend this press to anyone, whether they're a novice or seasoned user of French press devices." —Patricia B. 18. A coffee, sea salt, and honey exfoliating scrub that'll make you feel invigorated and your skin feel softer than ever before. 19. A handy poster to explain all the different varieties of espresso drinks so you never forget the difference between a macchiato and a brève. 20. A sack of dark chocolate-covered espresso beans for anyone ~buzzing~ for a delicious treat. Promising review: "Let me start off by saying I bought a five-pound bag, and the day it was delivered, I ordered another one. Why might you ask? Because these are the cat's meow. First off, my wife who doesn't even like dark chocolate sampled a few and thought they were absolutely delicious. The only downfall is now I have to share because she got totally wired after eating a handful. As I open the bag, I can smell an aroma of a coffee shop next to a chocolate shop. The coffee beans are not over-roasted and crunchy, nor is the chocolate waxy and unflavored. Grabbing a handful of these is a great pick me up. These are the real deal." —J.D. 21. An entertaining book about the history of coffee that's like a delicious brew itself: bold and flavorful. Promising review: "It was an excellent read and brought back many memories of how coffee was advertised. A nice blend of history and the story of how coffee impacted the world. Very well written. Now, whenever I have a cup of coffee it actually means more. Recommend this to anyone who is a coffee lover!" —Elliot G.
Price $13.26 (paperback), $14.99 (Kindle). 22. A useful and elegant storage container to keep the air out and flavor in for a delicious brew every time. Price: $15.97 (available in six different sizes). 23. A "prescribed" mug for anyone who needs a cup of coffee in the morning, ~STAT~. 24. An espresso-scented candle that'll make your home feel like the swankiest café around. 25. A pendant in the shape of a caffeine molecule for anyone who geeks out over good coffee. 26. And a coffee bean necklace that perfectly answers the question, "What's your birthstone?" 27. 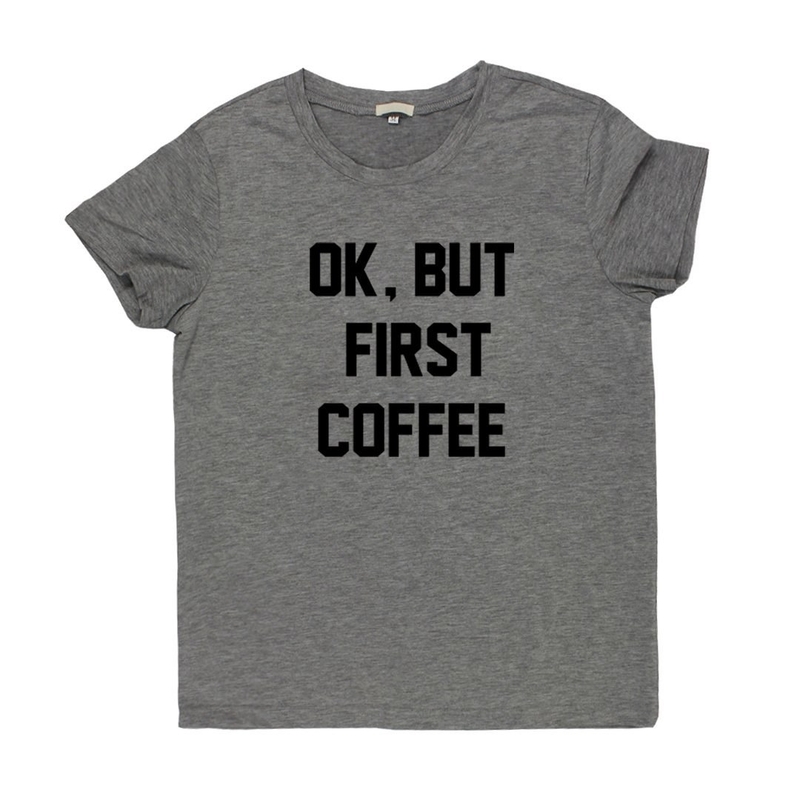 Plus a tee to throw on so everyone knows you'll get around to being productive. 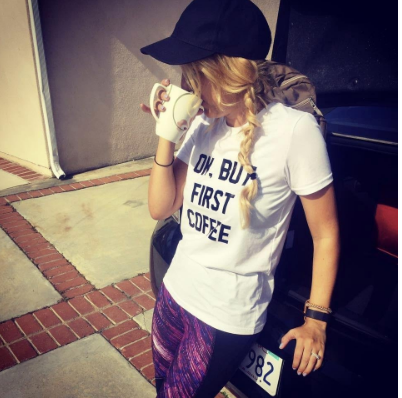 But coffee has to come first. Price: $8.59+ (available in white, black, and grey, sizes: S-XXL). Anyone else craving a cup right about now?